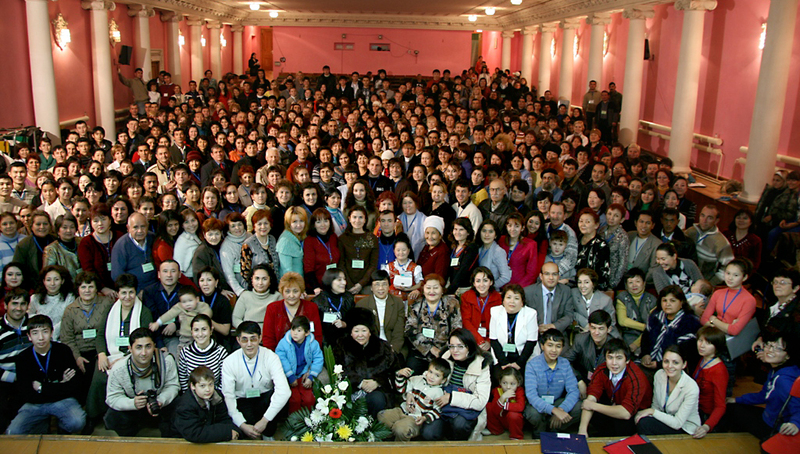 The current Baha’i conference series came to Central Asia on 6-7 December, and despite the fact that Baha’i communities in the region were recently established, 650 people from Kazakhstan, Kyrgyzstan, Tajikistan, Turkmenistan, Uzbekistan, and Western Siberia were on hand for the historic event. 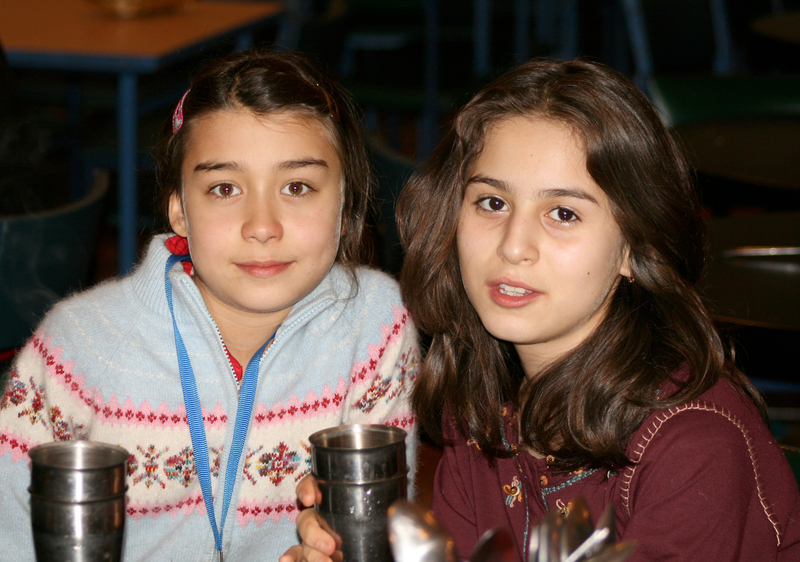 Most were young people, and many had joined the Baha’i community fairly recently. All had made their way to the Mountain Sun Camp on a mountainside outside Almaty in southeastern Kazakhstan, heeding the call of the Universal House of Justice to join in celebrating achievements in community-building activities in recent years and to make plans for the next phase of activity. 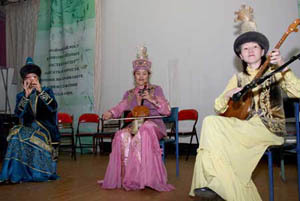 The sounds of the dombra – a fretted, long-necked lute with two strings that is popular in the region – created a beautiful atmosphere for the opening prayers, followed by the reading of a message to the conference from the Universal House of Justice and of the 20 October letter, also from the supreme body of the Baha’i Faith. Participants heard comments by the two representatives of the House of Justice – Mrs. Zenaida Ramirez and Dr. Ayman Rouhani, both members of the International Teaching Center – and also listened to stories and reports from the various countries as well as dividing into workshops for consultation. 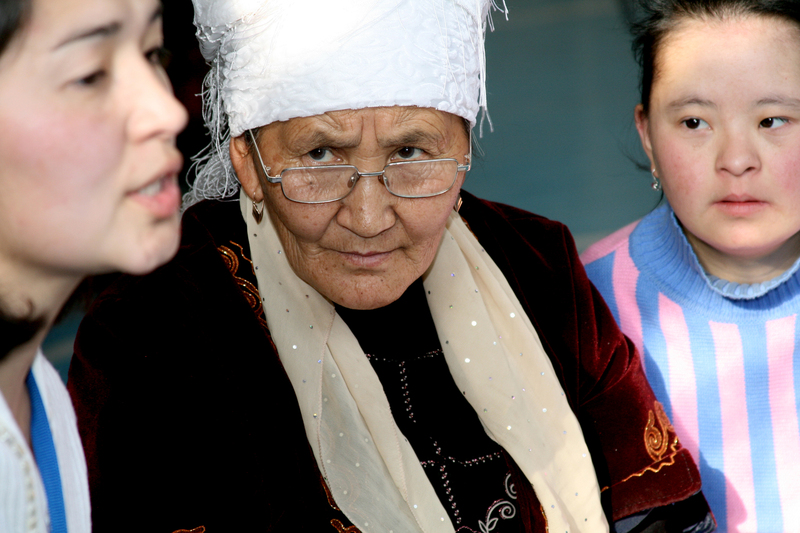 Experiences shared by friends from the Kokshetau area of Kazakhstan and the rural cluster of Denau in Uzbekistan were among the highlights. 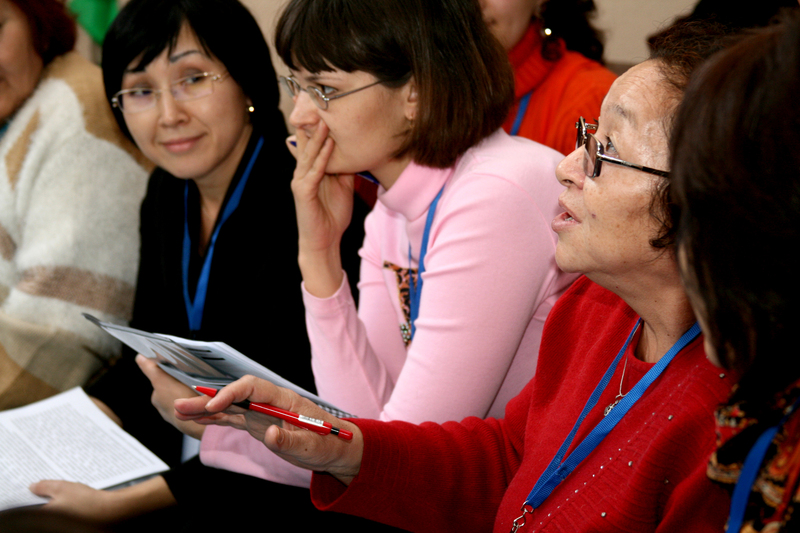 The talks referred to the uniqueness of the time we live in, and articulated the global vision of current Baha’i endeavors, including some of the achievements worldwide and, as mentioned by Mrs. Ramirez, the hopes of the Universal House of Justice. On Sunday, many friends, conscious of the urgency of the tasks at this moment in history, stepped forward during the planning workshops to offer to help with future endeavors. The remarkable rate of activity in the recent past, with 14 intensive programs of growth already begun, gave the friends courage to plan for 14 more by Ridvan 2009 rather than the three that had been envisioned. 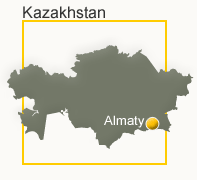 This includes six in Kazakhstan, two in Russia, two in Uzbekistan, two in Turkmenistan, one in Kyrgyzstan and one in Tajikistan. The friends from Uzbekistan and Kazakhstan showed an especially high degree of collaboration, deciding to exchange tutors and travel teachers in order to start an intensive program of growth in two bordering clusters. One of the participants described the conference as “glorious and ground-breaking,” while another called it “an unprecedented event in the history of the region.” “A new door” of collaboration between National Spiritual Assemblies had opened, according to those present. Video: Clips from the first day of the conference. Workshop sessions give an opportunity for focused consultation. This workshop was for a region in Kazakhstan. Three friends who studied at the music conservatory in Almaty reunited to offer a piece they described as a gift to the conference. 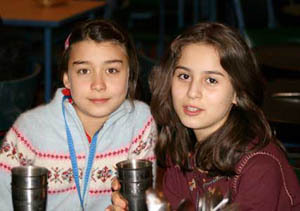 Two of the children from Uzbekistan. 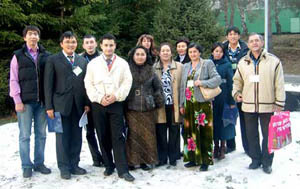 A cross-section of participants from Tajikistan, Turkmenistan, Kazakhstan and Kyrgyzstan pose for a photo. 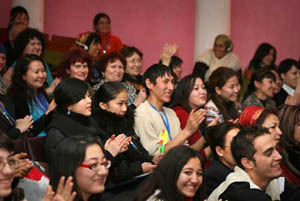 The conference in Almaty was conducted mostly in the Russian language. 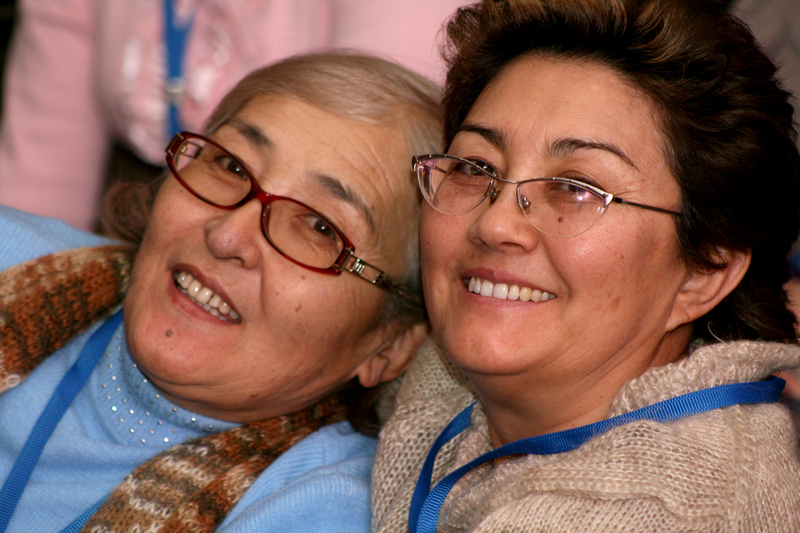 Old friends had a chance to reconnect when they met at the gathering in Almaty. 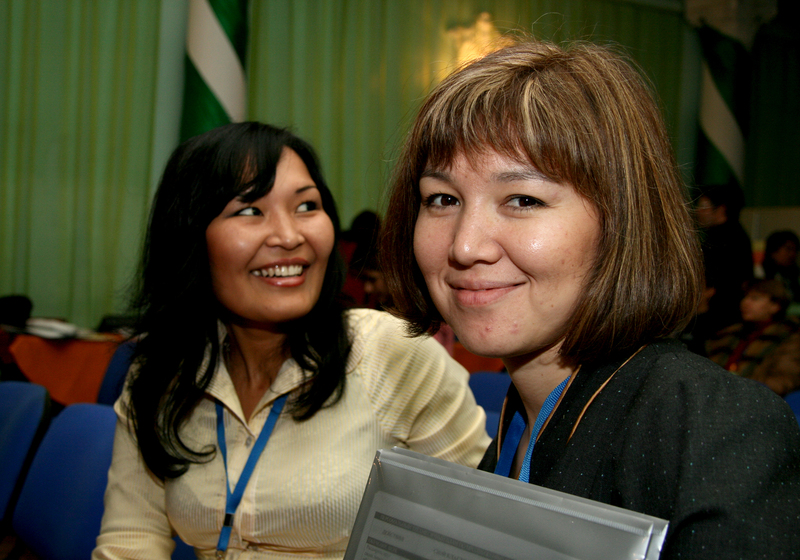 A participant from Kyrgyzstan, center, listens intently as a young woman from Kazakhstan explains an idea during a workshop. 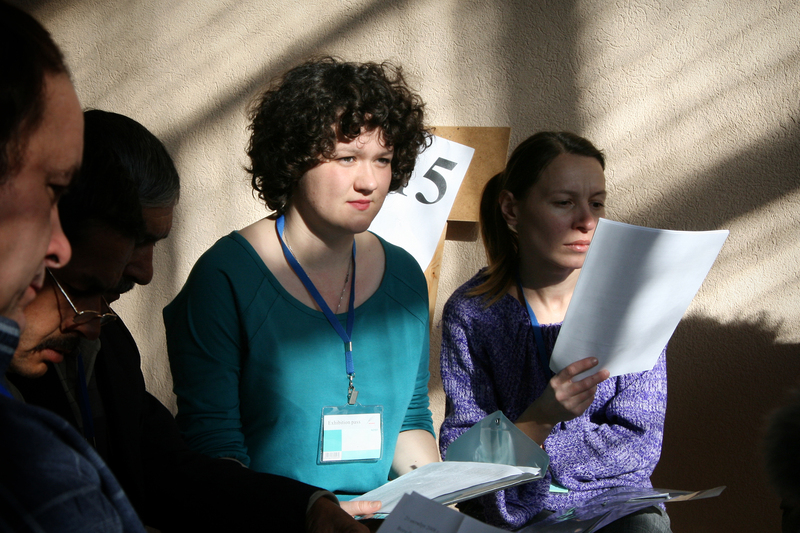 The conference facilities were located on a mountainside outside Almaty. 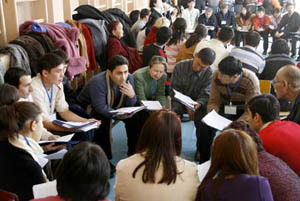 People divided into workshops by their community of residence or where they would like to go to assist with Baha’i activities. 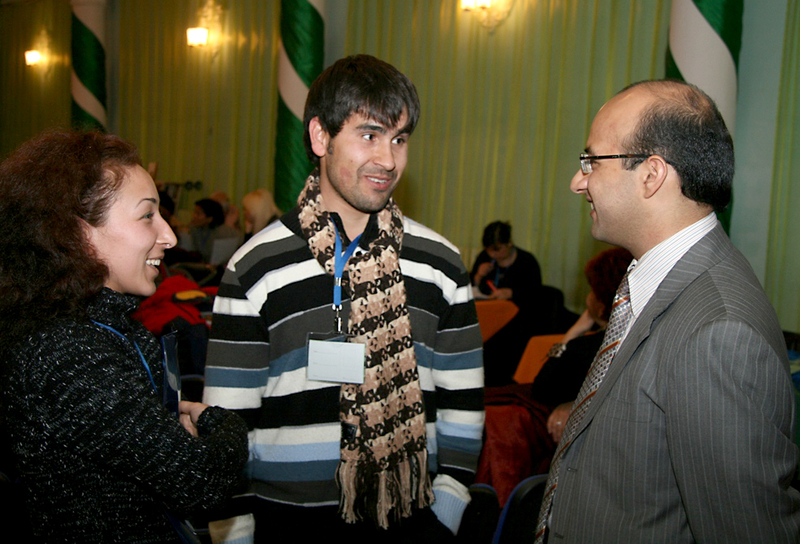 A young man from Tajikistan and a young lady from Uzbekistan talk with one of the representatives of the Universal House of Justice to the conference. Ayagoz Kuandykova, right, and a friend enjoy a moment together at the conference. Both are from Kazakhstan. 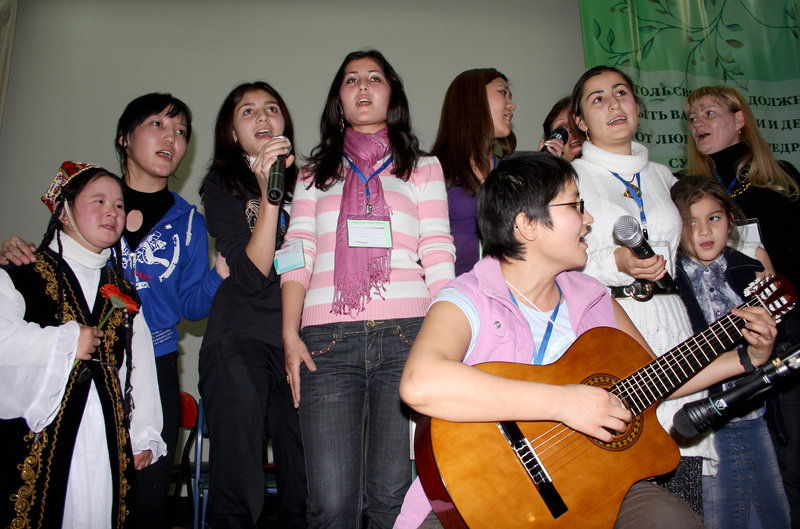 Friends from Kyrgyzstan sing at the Saturday evening event. 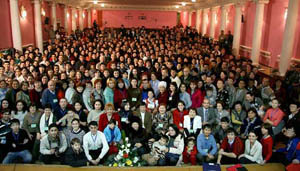 The 650 people attending the Almaty conference pose for a group photo. 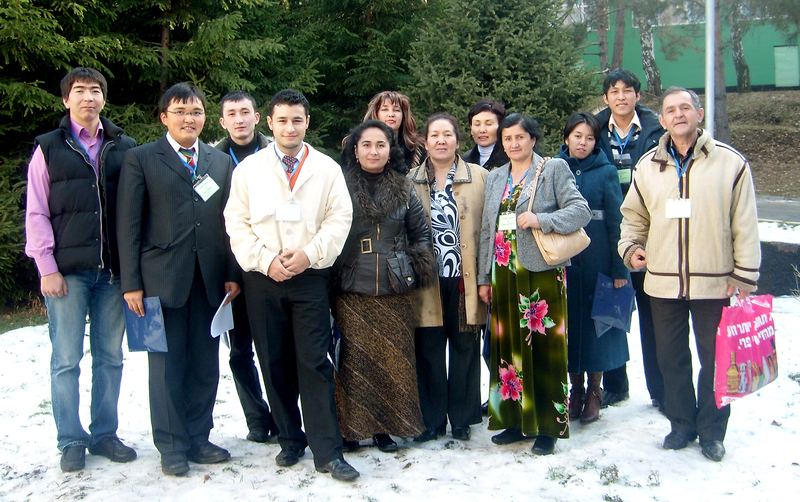 Friends from different cities in Kazakhstan enjoyed the chance to see each other.